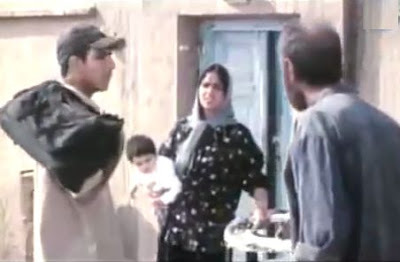 Asghar Farhadi’s second feature film, Beautiful City (Shahr-e-Ziba, 2004), was a demonstration that the youthful writer-director’s cinematic prowess was already well-formed [1,2]. Like his subsequent and more well-known films – Fireworks Wednesday (Chaharshanbe Suri, 2006), About Elly (Darbarye Elly, 2009), A Separation (Jodaeiye Nader az Simin, 2011), The Past (Le Passé, 2013), and The Salesman (Forushande, 2016) – this earlier film featured an examination of complex issues associated with serious interpersonal relations and engagement. And also like those later films, the title of the film had an ironic and somewhat ambiguous connotation. Shahr-e-Ziba is the name of a neighborhood in northwestern Tehran where the government’s Juvenile Detention Center (a prison for the underaged) is located. 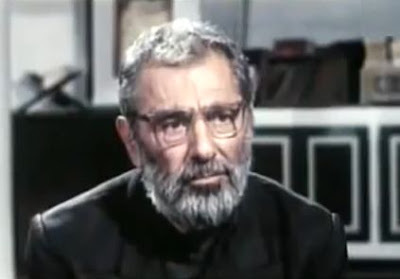 The action in this film begins in that center and concerns the fate of two young men who have been detained there. At the start of the film, the teenage prisoners in the Juvenile Detention Center stage a boisterous and officially disallowed birthday party for one of their members, Akbar (played by Hossein Farzi-Zadeh). The party was triggered by Akbar’s rowdy pal A'la Pour Salehi (Babak Ansari). But far from appreciating the party thrown for him, Akbar suffers from a fit of depression, because since he has now reached 18 years of age, Akbar realizes that he can be immediately transferred to an adult prison and ultimately executed for the crime he had committed. Two years earlier, Akbar had been convicted of murdering his girlfriend, Maliheh, but because he was only 16 at the time, he was a juvenile and could not be hanged for his crime. Now he is no longer a juvenile. Soon Akbar is taken away in a truck to another prison. This is the last time the character Akbar appears physically in the film, but the question of his fate remains at the center of the story. When A'la realizes and comes to dwell on his friend’s dire fate, he starts plotting ways he can escape the detention center and try to save Akbar’s life. He is aided by a sympathetic detention center guard, Ghafoori (Farhad Ghaemian), who feels Akbar is a redeemable soul. Ghafoori fakes some records in order to arrange for A’la to get an early release in the hopes that A’la can do something for Akbar on the outside. Should a Muslim man wilfully murder a Muslim woman, he must be killed, but the murderer can be punished only after the woman’s guardian has paid half of his khounbaha (blood money, or the sum that the man would be worth if he were to live a normal life; this is negotiated with and paid to the man’s family) (article 5 of the Qassas laws). So with respect to Beautiful City, these laws mean that Akbar can avoid execution if his dead girlfriend’s father, Abolqasem Rahmati (Faramarz Gharibian), can be convinced to give his consent to forgiveness. 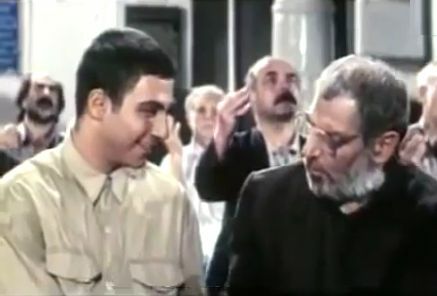 The sympathetic Ghafoori had already tried and failed several times to get this consent from Abolqasem, and now it is up to A’la to see if he can convince the bitter old man to sign the consent. Revenge (R), retaliation, and “justice”. Someone must be found to “pay the price” for what has gone wrong. For many people, it is an “eye for an eye” world, and they get psychological satisfaction from seeing someone punished. When I ask many sincerely religious people why they support capital punishment, they say they support it, not because it might deter future capital crimes, but merely for the sake of “justice”. For them punishment is a reward for the rest of us. Compassion (C) and forgiveness. On the other side is the feeling of compassion for one’s fellow beings. This involves seeing the potential for godliness in everyone, even criminals. Everyone can be rehabilitated and connected with the god that is always there inside of him or her. Utilitarianism (U). One makes the best, in terms of personal utility, of whatever situation one finds oneself in. This can even encompass the idea of doing seemingly selfless deeds and showing compassion in order to enhance one’s reputation. In the context of when something or someone has gone wrong, it can often mean just forgetting about it and moving on. Most people are counseled to follow this path. Love (L). True love is in a category all its own. By this I don’t mean brotherly love or compassion – that category (C) has already been mentioned. And I don’t mean the ego-boosting feeling of being desired romantically (U). True love is the delirious and irrational desire to give oneself totally to one’s beloved. The main characters in Beautiful City take on some of these attitudes at various times as the narrative plays out. In particular, principal character A’la takes on all four of these attitudes at various points in the story. Note that almost all religions, intended as they are to be universal, have doctrines and rules that cover all four of these attitudes. But as we see in Beautiful City, there can be complicated situations for which none of these attitudes offers a clear path, and religious doctrine may not offer a solution, either. Continuing with our account of the story of Beautiful City, when A’la is released from the detention center, Ghafoori drops him off at the home of Akbar’s only living relative, his older sister Firoozeh (Taraneh Alidoosti). 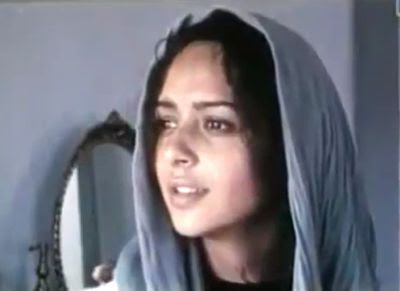 The beautiful and expressive Taraneh Alidoosti, by the way, has appeared in a number of Farhadi’s films (Fireworks Wednesday, 2006; About Elly, 2009; and The Salesman, 2016), and her performance here is a crucial element in this film’s effectiveness. Firoozeh has a small baby and lives in an apartment in front of which there is a soda pop stand operated by a man who appears to be her husband. Firoozeh tells A’la that she has been trying for two years to convince Abolqasem to consent to commute Akbar’s death sentence, but the stubborn man won’t budge. A’la and Firoozeh agree, however, to keep trying. Abolqasem is silent and doesn’t argue with his petitioners; but he wants to get these people off his back, and he consults a government office as to how he can get Akbar executed soon. The government official tells him, as Homa Omid’s account explains above, that he will have to supply blood money to the perpetrator’s family, but this is money that the out-of-work Abolqasem doesn’t have. Then a new wrinkle appears when Firoozeh and A’la meet Abolqasem’s wife. This woman is Abolqasem’s second wife, his first wife, who was the mother of the murdered Maliheh, having passed away some time ago. The present wife has a seriously disabled teenage daughter, Somayeh, from an earlier marriage of her own, and she thinks she can convince Abolqasem to consent to forgiveness if Firoozeh can pay them 3-4 million tomans (~US 5,000) for a needed medical operation for her crippled daughter. However, this is money that neither Firoozeh nor A’la have. So now we have a number of attitudes expressed. 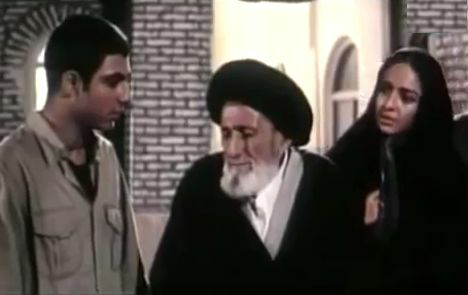 Abolqasem feels vengeful (R); Ghafoori, A’la, and Firoozeh feel compassion for Akbar (C); and Abolqasem’s wife feels compassion for her daughter (C,U) and some compassion for Akbar (C). A’la and Firoozeh approach the mullah at the local mosque that Abolqasem attends, and he agrees to remind Abolqasem that God is always the most merciful and compassionate. But the mullah’s words fall on Abolqasem’s deaf ears, as the vengeful man goes about trying to get support from others for his required blood money. In fact he tells the mullah that if God wants him to forgive, then he has a problem with God. Meanwhile A’la and Firoozeh keep up their low-pressure entreaties to Abolqasem. And in the process, as A’la and Firoozeh become more familiar with each other, they begin to feel a growing mutual attraction (L?). Their growing enamoredness is one of the best features of the film, because it comes off in a subtle and natural way. Indeed A’la and Firoozeh are not really a natural match when they learn more about each other. A’la is three or four years younger than Firoozeh, is unemployed, and has spent seven years in prison. Firoozeh is divorced from the kiosk owner, but she had to sell herself to support her junkie husband’s drug habit when they were married. And she now has a baby to look after. But despite these facts and their various awkward missteps, the two of them gradually click. 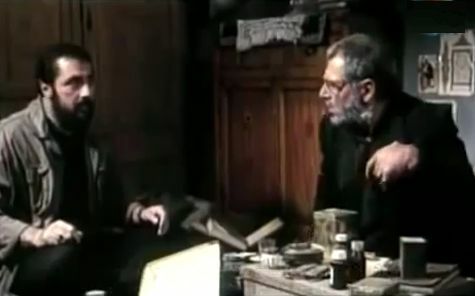 A’la then tells Firoozeh that he wants to steal enough money to pay for the blood money (he claims he is an expert thief), but she adamantly refuses his offer. She doesn’t want him to go to jail again, and for her that’s not the proper direction to take. Eventually Abolqasem’s wife comes up with another plan. If A’la will agree to marry her crippled and homely daughter, Somayeh, then the wife can definitely get Abolqasem to sign the consent letter saving Akbar’s life. This is the film’s final dilemma. C, U, and L (Compassion, Utility, and Love) all point in different directions here, and religious counsel hasn’t helped, either. A’la then goes to Ghafoori for advice. Ghafoori advocates a utilitarian decision – forget about Akbar (C) and Firoozeh (L) and move on. But A’la says he cannot ever forget about Firoozeh and is convinced that she really loves him, too. For him this is true love. Ghafoori then concedes that true love can be overwhelming and dominate all other considerations – A’la will have to make his own decision. With the sympathetic Ghafoori watching from a distance, A’la returns to Firoozeh’s home to speak to her again. But she is not answering the door bell as the film ends. The production values of Beautiful City are excellent throughout. Particularly effective is the camera work, which is devoid of the shaky hand-held camera operations that wold infect some of Farhadi’s later films. The acting and editing, too, which maintain a smooth rhythm across the various reaction shots of the troubled characters, are also very good. In fact, all the characters are sympathetically portrayed, and the viewer can empathize with their feelings. It is just that those feelings point in different, perhaps irreconcilable, directions. Overall, I would say this is one of Farhadi’s best films, and it deserves more exposure. Like some of Farhadi’s subsequent films, the viewer is left without knowing the final resolution, but with something to contemplate. What do you think A’la will do in the end? What would you do? Parisa Vaziri, “BEAUTIFUL CITY”, Film-forward.com, (15 March 2006). Ken Fox, “Beautiful City”, TV Guide (n.d.). Homa Omid (Haleh Afshar), Islam and the Post-Revolutionary State in Iran, Palgrave Macmillan (1994), p. 182.